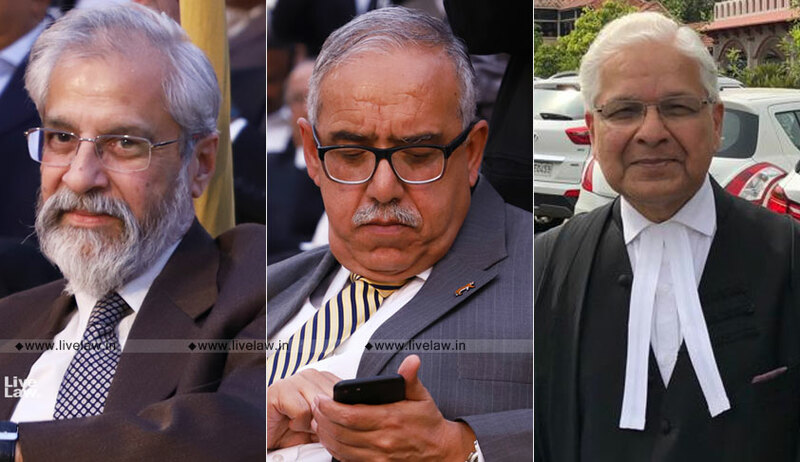 The bench comprising Justice Madan B. Lokur and Justice Deepak Gupta issued the following important directives in a writ petition filed by Dr. Ashwani Kumar seeking enforcement of the rights of elderly persons under Article 21 of the Constitution. The Union of India will obtain necessary information from all the State Governments and the Union Territories about the number of old age homes in each district of the country and file a Status Report in this regard. The Union of India will also obtain from all the State Governments the medical facilities and geriatric care facilities that are available to senior citizens in each district and file a Status Report in this regard. On the basis of the information gathered by the Union of India as detailed in the Status Reports, a plan of action should be prepared for giving publicity to the provisions of the MWP Act and making senior citizens aware of the provisions of the said Act and the constitutional and statutory rights of senior citizens. Section 30 of the MWP Act enables the Government of India to issue appropriate directions to the State Governments to carry out and execute the provisions of the MWP Act. The Central Government must exercise its power in this regard and issue appropriate directions to the State Governments for the effective implementation of the provisions of the MWP Act. Alongside this, the Central Government must, in terms of Section 31 of the MWP Act, conduct a review for the purposes of monitoring the progress in implementation of the MWP Act by the State Governments. Some of the schemes referred to hereinabove are comparatively dated. It is high time that the Government of India has a relook at these schemes and perhaps overhaul them with a view to bring about convergence and avoid multiplicity. In particular, the Government of India and the State Governments must revisit the grant of pension to the elderly so that it is more realistic. Of course, this would depend upon the availability of finances and the economic capacity of the Government of India and the State Governments. The bench also said that both the Government of India and the State Governments and the Union Territory Administrations must work in tandem if they are to make the Pension Scheme workable and meaningful. The bench said that they must revisit the grant of pension to the elderly so that it is more realistic. The bench also said that there is a need to continuously monitor the progress in the implementation of the constitutional mandate to make available to the elderly the right to live with dignity and to provide them with reasonable accommodation, medical facilities and geriatric care. “While this may take some time, the only available solution is a continuing mandamus which is a well-recognised practice and procedure adopted by this Court in several cases to ensure that the rights of the people are respected, recognized and enforced and that social justice as postulated by the Preamble in the Constitution is given meaning and teeth.”, the court added. The court also directed the Union of India to file status reports by 31st January 2019.